Feral cats generally refer to felines which have returned (in some extent) to their untamed state. They at first were domestic cats which most probably got lost or were abandoned and have eventually learned to survive outdoors. Or, they are the offspring of other feral cats and have never experienced human contact. They often live in places where there is very limited human interaction such as in storage spaces and deserted buildings. 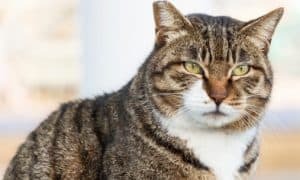 Although considered to be wild, feral cats are not entirely undomesticated – most of them still depend on people as a food source, and only a few of them manage to subsist just by hunting. 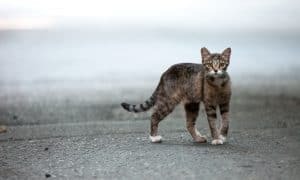 Because of limited population control methods and inadequate ways to manage these cats’ ability to reproduce quickly, it has been found out that an estimate of 70 million feral cats live in the US nowadays. The overpopulation is linked to the decimation of bird and other wildlife populations as well as the apparent threat to public health. Trap-Neuter-Return (or TNR) is a humane and effective method -also said to be the ONLY kind and operative way- at controlling the growth of feral cat population. It respects these cats’ wild state by neutering them and then returning them to their territory while providing enough food and shelter as well as giving them the chance to live among their own. The TNR technique generally involves trapping all the feral cats in a colony, having them neutered by a veterinarian, vaccinating them against rabies and sometimes other diseases, and then returning them to their place where caretakers can look after them. 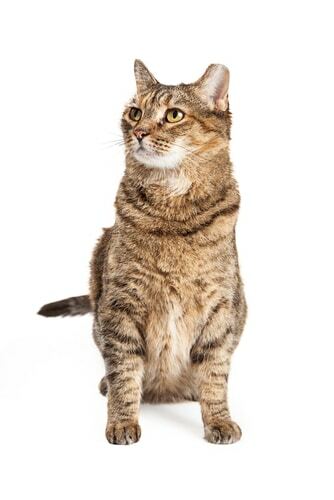 Often times, the feral cat’s ear will be tipped – a universal sign that indicates he has been neutered. Young feral kittens which can still be socialized, as well as friendly feral adults are placed in foster care so they can be adopted out, in due course, to good homes. TNR offers lots of advantages. It helps in stabilizing colony size immediately by preventing and eliminating new litters, and the troubling behavior associated with them being intact is significantly reduced. Aside from that, the returned feral cats tend to guard their colony; thereby, keeping un-neutered felines from moving in and starting the overpopulation cycle and nuisance behavior all over again. TNR works extremely well to reduce feral cat populations. In fact, a PhD study in North Carolina found that TNR consistently reduced the populations of feral cat colonies by 36% over two years, while the non-TNR’d colonies increased by 47%. Educate yourself with the TNR method and learn how the technique works. Create a supportive and cooperative neighborhood by building good community relations. Prepare for trapping by putting up feeding stations that follow a regular schedule and adequate shelters that promote feline health. 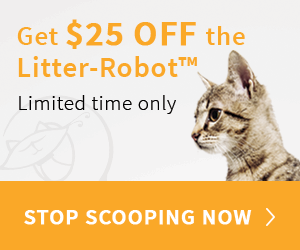 Secure a suitable holding space for feline trapping and neutering. Find a clinic or arrange with a vet for low-cost but safe spaying/neutering. Work with animal rescue groups to help you prepare and decide on what should be done to adoptable kittens and adult cats. Trap the cats only when everything else is in place. 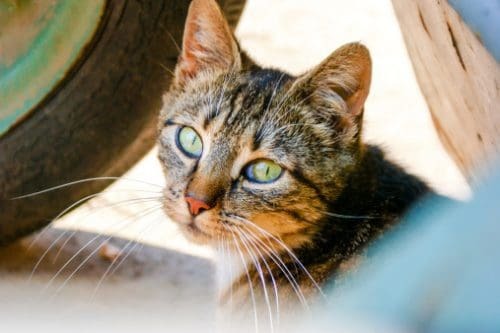 Before you start a TNR project in your area, be sure to check the current laws that prohibit people from dumping or abandoning cats. In some cases, collecting and neutering cats makes you legally responsible for that animal. Sometimes, by releasing a trapped cat back into their colony, the law considers you to have abandoned the cat. These laws, however, are changing to support those who practice TNR, such as this recent proposed bill for the state of Maryland. Will You Join the Community Cat Movement? How can i find out if there is already a TNR in my city??? I have 6 ferals that I take care of at my house. They are all fixed and vetted. They are now about 18 yrs old and pretty much stay around the house. This is a cause that is near and dear to my heart.